Chả biết đặt là gì. Thôi thì không đề cho dễ :-). Sometimes, just sometimes, I wish I could live in my own dream, do things I want to do, like when I was a small girl who lived a pinky life, didn’t need to worry about anything but having fun with friends and my imaginary world. After 10 years, at the age of 17, a teenager like me, standing in front of the life gate and still don’t know what to take up with. I used to dream of being a doctor, painter, engineer, artist, architect,… Many of them belonged to the past, but whenever I think of them again, I regret not following them till the end. But, maybe, I regret not having enough courage, confidence, passion, and the constancy to build my own world. I know it sounds silly but, my world was once full of fancy things. Well, it’s still like that, but now they have to give way to things which are more fascinating and interesting. I asked myself what I had dreamed of, and now I still can’t answer. Instead of building my dreams, I spent time looking forward to better things happening to me, complaining about the unlucky life, or crying over things all day. It sounds too big for a teenager like me, but I think it’s enough for me to create something which can change my life forever. I still have a long way to go, and I’m not sure if I can make it or not. I’ve lost my direction to achieve my dream, and I’m concerned about it. I’m stuck in a circle which seems to have no way to get out. I’m frustrated as no one leads me out of this horrible nightmare, in which I have to follow what other people are doing, obey what I was told to do. But when I’m left out in this big, cold, lonely world, I’m blindfolded. I read an article today and I found it interesting. The title is pretty simple: “Just go, don’t come back!” It’s just some thoughts of a Vietnamese student who studies abroad. Short but pretty useful, though I don’t completely agree with some points. I myself also wanted to go abroad several times, but for the shortage of finance, it wasn’t fulfilled. And now, when I have the chance to do it, my mom asked me what I was going to do after finishing my course there. I said I would find a job there, and she said something like I was going to leave her alone in our big house,… Sometimes, just sometimes, let me live in my own world, create my own dreams, do my own deeds, and live my own passion up the way I want. 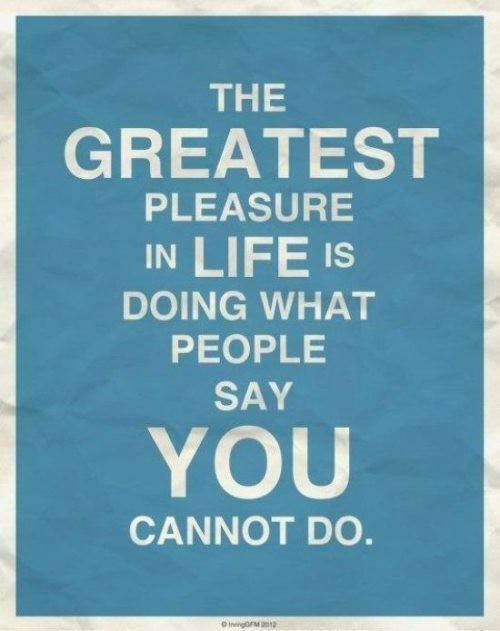 The greatest pleasure in life is doing what people say you cannot do. I want to have that pleasure. To: A new friend of mine. Well, we’ve known each other for not long ago, in summer. I was impressed with your photos on fb and I think it’s pretty cool, especially about Exo. 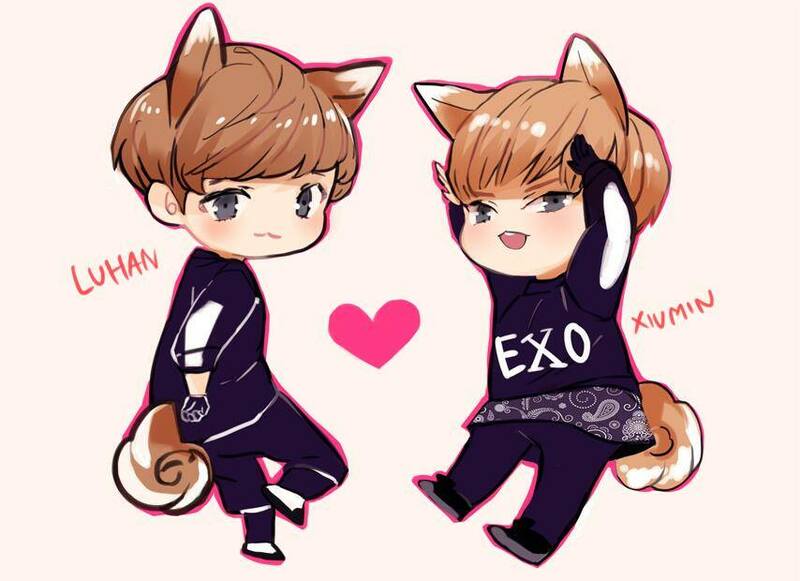 Your bias is Luhan, and mine is Xiumin. It sounds stupid but I think I have the courage to comment your photos. Well, that’s when our friendship begins :-). To be honest, you’re the 1st exotic I’ve known, and I like it. It’s your birthday today, so all I want to say is: HPBD my friend. Though I’ve never met you but I hope someday we will. Hope you will have a cheerful birthday and always smile no matter what happens. 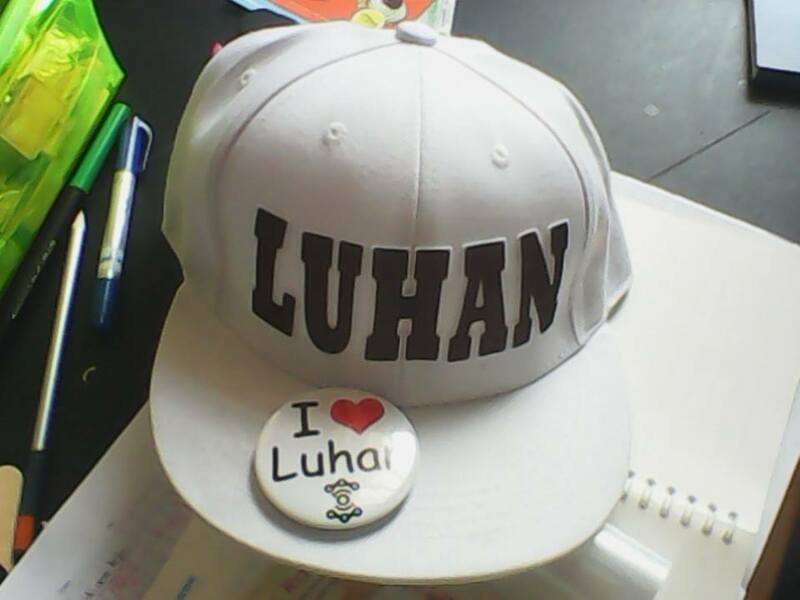 We both ship Xiuhan/Lumin and, sorry, goddamn it, it’s f**king awesome! Thinking of you as a friend and an exotic is quite perfect, as we have the same hobbies. Well, it’s all I can write for you on your birthday. 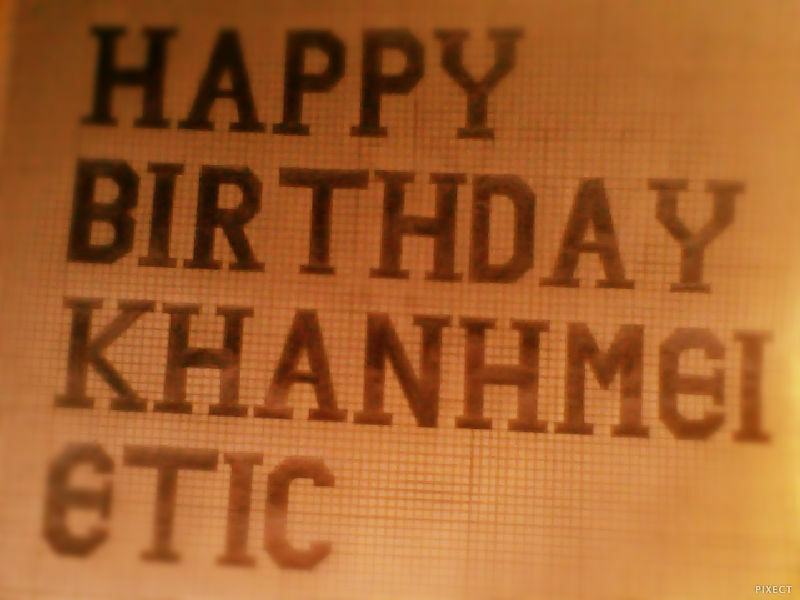 A small draft to tell you what I think and, once again, “HPBD KhanhMei Etic!” :-). P/S: Sorry for my horrible draft, I shouldn’t have written it this way. Anyway, have fun with your friends and family!